Valvettithurai is a place that has figured prominently in the politics of Sri Lankan Tamils. Valvettithurai is a coastal town along the Vadamaratchy littoral region of the northern Jaffna peninsula.VVT as Valvettithurai is generally referred to acquired a notorious reputation at one time as the hotbed of smuggling. In later years Valvettithurai became known as the nursery of Tamil militancy. A very large number of VVT youths have been at the forefront of the Tamil armed struggle launched to achieve the secessionist ideal of Tamil Eelam. Chief among these was Liberation Tigers of Tamil Eelam(LTTE) leader Thiruvengadam Velupillai Prabhakaran. The Tamil armed struggle was crushed conclusively in May 2009 with the military debacle of the LTTE at Mullivaaikkaal in the Mullaitheevu districrt. Prabhakaran himself was killed along the shore of the Mullaitheevu lagoon known as “Nanthikkadal”. Even Prabhakaran’s ancestral abode in Valvettithurai has been razed to the ground and the property is now overrun with vegetation. Nevertheless Valvettithurai continues to retain an inexplicable aura within Tamil ultra-nationalist circles. Crafty politicians have kept nourishing this VVT mystique even after the LTTE’s eclipse as part of playing to the gallery politics. 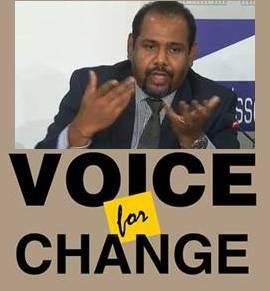 One of the most disgusting spectacles of this type of politics was the Volte – face by former Supreme Court Judge Canagasabai Viswalingam Wigneswaran while addressing propaganda meetings in VVT for the Northern Provincial council elections in 2013. Wigneswaran delivered a thundering speech to an audience consisting mainly of people from VVT and neighbouring areas in which he stated that Prabhakaran the son of VVT soil was a great hero and not a terrorist. ‘‘Pirapakaran oru payangaravathiyalla. Avar Thamil Inathin Viduthalikkaaha Poaradiya oru Maha Veeran’’(Prabhakaran is not a terrorist. He is a great hero who fought for the freedom of the Tamil people) re-iterated Wigneswaran on Valvettithurai soil. 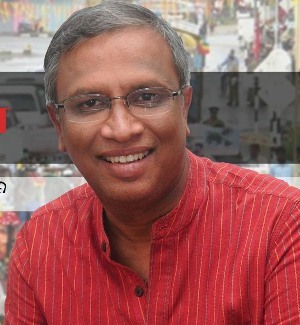 The latest Tamil political stunt on Valvettithurai soil was staged by the Tamil National Peoples Front (TNPF) which is contesting the 2015 Parliamentary polls under the cycle symbol of the All Ceylon Tamil Congress (ACTC).The TNPF contesting as ACTC continued with the practice of pandering to “VVT sentiments” by unveiling its election manifesto in Valvettithurai on August 2nd 2015. The date coincided with the 26th anniversary of the VVT massacre of 1989 where over 30 civilians were killed by the Indian army after an LTTE attack was launched from the VVT hospital premises. The TNPF paid homage to the victims of the 1989 VVT massacre and the LTTE Great Heroes or “Maaveerargal” before commencing their rally at the VVT “Revady Sports Club” grounds. The manifesto was released at the TNPF rally. The ACTC/TNPF is contesting all five electoral districts in the Northern and Eastern provinces. The ACTC list for Jaffna electoral district comprising the Jaffna and Kilinochchi administrative districts is headed by Gajendrakumar Ponnambalam. The Wanni electoral district consisting of the administrative districts of Mannar,Vavuniya and Mullaitheevu is headed by Sivapatham Gajendrakumar. The Trincomalee , Amparai and Batticaloa district lists are headed by Iraa. Sreegnaaneswaran, Chelliah Rasaiah and Nagamuthu Panneerchelvam respectively. According to political observers the ACTC/TNPF does not have much support south of Elephant pass. Yet it is fielding candidates in all the Tamil areas in a bid to challenge the political supremacy of the dominant Tamil National Alliance(TNA). Sri Lankan Tamil politics in the years between 1949 to 1971 were marked by the rivalry between the All Ceylon Tamil Congress(ACTC) contesting under the cycle symbol and the Ilankai Thamil Arasu Katchi(ITAK)which had the house as its symbol. In an interesting re-play of the past ,the Tamil National Peoples Front(TNPF) contesting under the ACTC cycle symbol is battling the Tamil National Alliance(TNA) contesting under the ITAK symbol of house. The political competition of the past between cycle and house has taken on new forms in the present scenario. The acknowledged “supreme leader” of both the ACTC and TNPF is Gajendrakumar Ponnambalam whose qualifications as stated in media advertisements are – LLB London and Barrister at law. Gajendrakumar Ponnambalam is both the President of the TNPF and General Secretary of the ACTC. Gajendrakumar who spends considerable periods of time in Europe is perhaps a shining example of “dynasty” in the Sri Lankan Tamil political sphere.He belongs to the third generation of Ponnambalams in politics. (Not to be confused with Sir Ponnambalam Ramanathan or Arunachalam). Gajendrakumar’s paternal grandfather Ganapathy Gaangaesar Ponnambalam known as GG Ponnambalam (snr) was the founder president of the All Ceylon Tamil Congress. He was a brilliant lawyer who appeared with distinction in some of the most controversial cases of his time. GG Ponnambalam was the uncrowned political leader of Sri Lankan Tamils for nearly two decades before and after Independence from the British. He represented Point Pedro Constituency in the State Council from 1934 to 1947 and the Jaffna electorate in Parliament from 1947 to 1960 and 1965 to 1970. Ponnambalam served as minister of Industries and fisheries from 1949 to 1953 in the UNP led Governments of DS Senanayake and Dudley Senanayake. GG became famous for espousing the political claim of balanced representation referred to as “fifty – fifty”in popular parlance. GG wanted a “balanced” legislature with 50 % seats for the Sinhala majority and 50 % for all the minorities together. GG Ponnambalam’s son and Gajendrakumar’s father was Kumar Ponnambalam or GG Ponnambalam jnr. Kumar Ponnambalam was also a leading lawyer who appeared for many youths charged under the draconian prevention of terrorism act(PTA).Kumar was heavily involved in politics leading the Tamil Congress after the demise of his father. Though Kumar made waves in politics he was never elected to any political office during his lifetime. Kumar Ponnambalam contested Jaffna electorate in 1977 under the earlier first past the post winner system and was defeated. He led a list of ACTC candidates at the Jaffna electoral district under the proportionate representation system in 1989 and lost again. In 1994 Kumar led an all – Tamil independent list in Colombo but was unsuccessful again. GG Ponnambalam (jnr) shot into national prominence in 1982 when he contested Sri Lanka’s first ever Presidential elections. Kumar came fourth out of six candidates ahead of LSSP leader Dr. Colvin R de Silva and NSSP chief Vasudeva Nanayakkara. In later years Kumar Ponnambalam became a shameless sycophant of the LTTE. He kept issuing provocative statements supportive of the LTTE while living in Colombo. Kumar was assassinated on Jan 5th 2000 in Colombo. His bullet ridden body was found in his vehicle on a lane off Ramakrishna road in Wellawatte. A few days prior to his murder Kumar Ponnambalam had written an open letter to then president Chandrika Kumaratunga. He prefaced it with the lines -“I write as a Tamil Eelavan. But more importantly, I write as an unalloyed, unrepentant supporter of the political philosophy of the LTTE and as one who, with that conviction, lives in the South. I write as one who has publicly stated this position of mine not only within this island but also without, and both verbally and in writing”.Tiger supremo Veluppillai Prabhakaran conferred the posthumous honour “Maamanithan”(Great human) upon Kumar Ponnambalam. GG Ponnambalam’s grandson and Kumar’s son Gajendrakumar Gangaser Ponnambalam was born on January 16th 1974. After completing his primary and secondary school studies at Royal College, Colombo and the Colombo International school, Gajendrakumar went to London for tertiary studies.He read law at the London University’s School of Oriental and African Studies and obtained a LLB degree. He then enrolled at the Lincolns inn to be a barrister at law. Gajendrakumar Ponnambalam was called to the bar of England and Wales in 1997. Thereafter he was admitted to the Law College in Colombo to be qualified as an attorney at law in Sri Lanka.He took his oaths in 1999. Gajendrakumar Ponnambalam entered active politics after the death of his father. In 2001 , four Tamil organizations namely the Tamil United Liberation Front(TULF), the All Ceylon Tamil Congress (ACTC), the Tamil Eelam Liberation Organization(TELO) and the Eelam Peoples Revolutionary Liberation Front(EPRLF) came together as the Tamil National Alliance. Gajendrakumar contested in Jaffna and was elected to Parliament. In 2004 he contested from Jaffna again on the TNA list and won. He was for a time regarded as the blue eyed boy of TNA leader Rajavarothayam Sampanthan and many predicted a bright political future for Gajendrakumar within the folds of the TNA.This however was not to be. Though the TNA came into being independently it was later under the control of the LTTE. In 2004 the LTTE finalised the TNA lists of candidates and also rigged the elections. 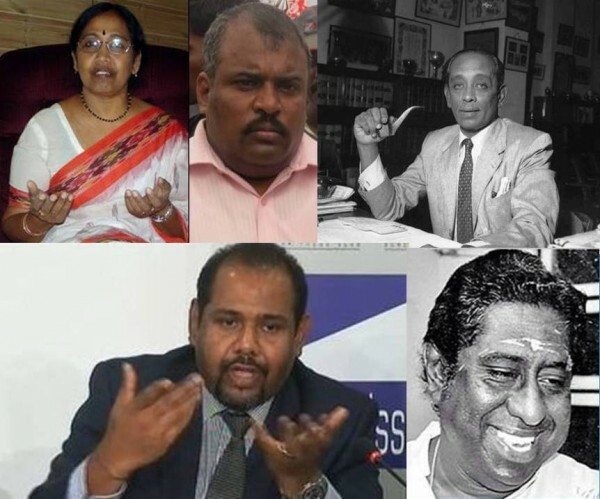 The TNA won twenty – two seats including two on the national list in 2004.Among the TNA (described by Douglas Devananda as tiger nominated agents)Parliamentarians, two were identified as being very close to the LTTE hierarchy. They were Mr.Selvarajah Gajendran and Ms.Padmini Sithambaranathan. Gajendrakumar Ponnambalam was affiliated to this duo. Interestingly Gajendran, Padmini and Gajendrakumar were first (112,077), second (68,240) and third (60,770) respectively in the preference vote tally for Jaffna in the LTTE rigged 2004 poll. Things however changed after May 2009 and when polls were announced in 2010 the situation was different.When Selvarajah Gajendran and Padmini Sithambaranathan were close to the LTTE hierarchy earlier, they used that “influence” to undermine and defy the TNA leadership. Like the cobra around Lord Shiva’s neck inquiring the well-being of the Karudan or Kite bird this duo had disregarded the TNA leaders due to their tiger clout They had disrespected several other academics and professionals in Jaffna too. Both Gajendran and Padmini had also been involved with Jaffna university politics. They were instrumental in politicising undergrads to unacceptable pro – tiger levels and were instrumental in organizing a series of “Pongu Thamil” (Tamil Upsurge) demonstrations. They were also involved in inciting students into violent demonstrations on the lines of the Palestinian “Intifada.”But after Mahinda Rajapakse became President and his brother Gotabhaya the defence secretary the State began striking back. Fire was met with fire. A massive crackdown through both routine channels and unorthodox methods was launched against tiger and pro-tiger elements in Jaffna. Naturally sections of the student population had to bear the brunt of this “anti- tiger offensive”.But Gajendran and Padmini who had played a major role in instigating these students were not there to stand by the victims to whose misery they had contributed. Instead they took refuge first in the Wanni and later in foreign countries. After exposing the student community to danger and hardship, this couple was nowhere to be seen during troubled times. However when elections were scheduled both Gajendran and Padmini returned home and prepared to contest again. But the long-suffering TNA leadership was not prepared to oblige.Furthermore substantial sections of the Jaffna student population as well as Jaffna academics and professionals indicated quietly to the TNA leaders that nominating the couple would not be welcomed. Thus the TNA leadership took the bold decision of denying nomination to both. But Gajendran and Padmini Sithamparanathan latched on to Gajendrakumar Ponnambalam. Earlier Gajendrakumar had some disputes with the TNA leadership about the 2010 Presidential election. Egged on by some Tamil extremists in the Diaspora, Gajendrakumar had wanted a boycott.Now the same Diaspora elements played a huge role in cementing an alliance between the discarded duo and young Ponnambalam. In Quixotic fashion Gajendrakumar began tilting at windmills to rescue imaginary maidens from imaginary dragons. He canvassed intensely for nominations to be given to both.When places on the nomination list were offered to Gajendrakumar and Tamil Congress president Appaputhurai Vinayagamoorthy , Gajendrakumar spurned it and instead requested that those places be given to Gajendran and Padmini Sithamparanathan.This led to the parting of ways between Vinayagamoorthy and Ponnambalam. 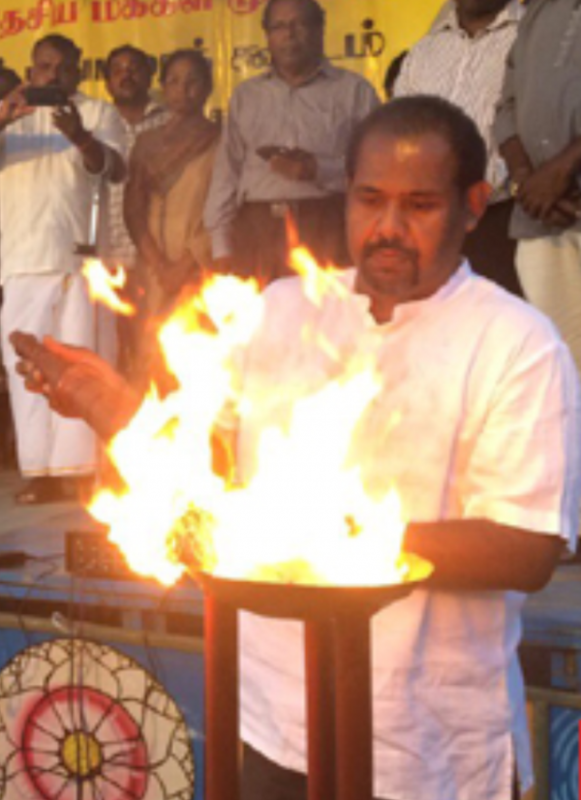 Vinayagamoorthy who had been a Jaffna district MP from 2000 to 2004 threw in his lot with the TNA leadership and accepted nomination.He was elected in 2010. The Gajendrakumar Ponnambalam – Padmini Sithamparanathan – Selvarajah Gajendran trio struck out separately.Gajendrakumar along with Gajendran and Sithamparanathan broke ranks from the TNA and formed the Tamil National Peoples Front. They filed nomination under the ACTC symbol of cycle in Jaffna and Trincomalee districts.Then began an election campaign in which Gajendrakumar viciously attacked the then TNA leadership consisting of Sambanthan, Senathirajah and Suresh. He declared that what the TNPF wanted was the defeat of Senathirajah and Suresh Premachandran in Jaffna and Sampanthan in Trincomalee. When results were announced the TNPF contesting as ACTC was trounced. In Jaffna the TNPF polled only 6,362 votes. In Trincomalee it got just 1,182 votes. Gajendran, Sithamparanathan and Gajendrakumar Ponnambalam who were the first three in terms of preferences in 2004 were totally demolished in 2010. In what was perhaps a fatal miscalculation Gajendrakumar had hitched his wagon to the Padmini-Gajendran star and seriously damaged his political future. But as Talleyrand said of the restored Bourbons of France, Gajendrakumar too “had learned nothing and forgotten nothing”.He continued along the same TNPF track with Selvarajah Gajendran. The tall Gajendrakumar and the short Gajendran with their similiar sounding names became the “terrible twins” of Tamil politics.The politics of the ACTC/TNPF deteriorated into venomous “hate”politics. The target was the TNA in general and parliamentarians R. Sampanthan and MA Sumanthiran in particular. The deplorable personalised manner in which Gajendrakumar attacks Sumanthiran is reminiscent of the pathological hatred displayed by his father Kumar towards Dr. Neelan Tiruchelvam. The ACTC/TNPF is strongly backed and heavily influenced by LTTE and Pro-LTTE elements in the Global Tamil Diaspora.These tiger and pro-tiger elements are strongly opposed to the TNA and its current political approach of working towards an acceptable political settlement within a united but not necessarily unitary Sri Lanka. The LTTE may have been destroyed in Sri Lanka but its overseas structures remain. Slightly eroded and extremely low –key but in working condition still. The overall objective of these elements is two – fold. Revive the LTTE in some form and engage in violence in Sri Lanka.Undermine the political process and disrupt all positive political engagement between Tamil representatives and the Governments in power in Colombo. The TNPF/ACTC refrained from contesting local authority or Provincial Council elections saying they were of no use to the Tamil people. It also wanted the Tamils to boycott the Presidential poll of 2015. The TNPF/ACTC was merely voicing the wishes of the “ tiger” Diaspora in this. However the Tamil people living in Sri Lanka snubbed the TNPF/ACTC by voting in very large numbers at these elections. Moreover they supported the TNA strongly in the local authority and provincial polls. They also voted for the TNA backed Maithripala Sirisena at the Presidential poll instead of heeding the boycott call of the TNPF. Now the TNA seems poised for victory at the forthcoming Parliamentary elections. It is against this backdrop that the TNPF is contesting the polls under the ACTC. The aim is to cause as much political damage to the TNA as possible. If one were to strip away the convoluted verbiage of the TNPF manifesto and bare it down to the essentials, one may be compelled to emulate the Dravidian movement patriarch “Eevaeraa Periyaar”(Dravida Kazhagham leader E. V. Ramswamy Naicker) and shout “Vengaayam” (Onion). When you peel away the layers in an onion you end up with nothing but tears in your eyes. 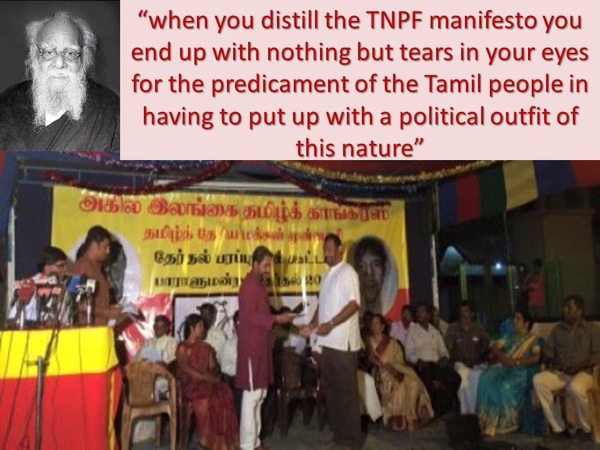 Likewise when you distill the TNPF manifesto you end up with nothing but tears in your eyes for the predicament of the Tamil people in having to put up with a political outfit of this nature. There is a saying in Tamil “Oru Paanai Soatrukku oru Soaru padham” meaning one morsel of rice will indicate whether the rice in a pot has been cooked well or not. In similiar vein I shall make reference to just one point in the TNPF manifesto that is illustrative of the party’s politics. The TNPF says it is for “Irandu Thesam, Oru Naadu”. When translated into simple English this means “two countries in one country” because both Thesam and Naadu are two different words with the same meaning – country. The word Thesam is Sanskritised and derived from the word Desh while Naadu is of pure Tamil origin and rooted in Classical Tamil. If one were to be charitable in interpreting the manifesto it could be inferred perhaps that what the TNPF seeks is confederation. If so the manifesto text should be very definite and not vague but in this instance there is deliberate ambiguity. What the TNPF recommends as a political solution to the Tamil national question is the demarcation of the Island into a “Tamil Thesam” comprising the Northern and Eastern provinces and a “Sinhala Thesam” consisting of the other seven provinces. Thereafter the two “Thesam” countries can form one “Naadu”country. Apart from the hilarity caused by terminology, the political philosophy articulated in this demand gives rise to two fundamental questions. Firstly how does one merge the North and East into one “Tamil country” when the non – Tamils in the Eastern province are more than 60 % of the population. Secondly how can the provinces outside the North and East be lumped together as a “Sinhala country” when 48 % of the Tamils and two-thirds of the Muslims in the Island of Sri Lanka are living in those seven provinces? Meanwhile the Tiger Diaspora backs the TNPF/ACTC to the hilt. Unlike his grandfather and father, Gajendrakumar does not have to spend the family wealth to contest elections. The benefactors from abroad will see to all such mundane needs. Reports from the election front suggest that the ACTC/ TNPF is running a well-oiled election campaign this time. The voters are not being wooed by campaign rhetoric alone but also through a bountiful personal touch that is of benefit to both the receiver and giver. It is both fascinating as well as frightening to witness this unfolding phenomenon. Here is an influential Diaspora group of a particular political persuasion with ample resources at its disposal striving to change the political equation in the land of their birth. The ultimate objective being to pave the way for the creation of two states in the Island. The facetious euphemism of “two countries in one country” should not let this grim reality be overlooked. The tiger and pro-tiger Diaspora wants a political change among the Tamils of Northern and Eastern Sri Lanka through this election. The ACTC /TNPF is the instrument being utilised to bring about such a change. What would happen if such a change were to occur? Many years ago when the United Front led by Sirima Bandaranaike swept the polls the veteran Tamil political leader SJV Chelvanayakam observed “Only God can save the Tamil people now”. Let me conclude by saying that if the “change” envisaged by the tiger Diaspora is brought about by a TNPF victory in Sri Lanka “Even God cannot save the Tamil people now”!